There are many amazing cheap cruises to Mexico to choose from. When shopping for the best and most inexpensive Mexican cruises, you will find that there are many to choose from. Many times if you look at the different cruise lines, you will be able to find some cheap cruises to Mexico that will fit your budget. Most of the time, this just depends on how far in advance you are planning your trip. You may also find many surprisingly cheap cruises to Mexico if you are planning a last minute trip. The important thing is to shop around. Here we have done the research for you with our list of the top 10 cheap cruises to Mexico. 1. 4 Night Baja, Mexico cruise from Long Beach, CA by Carnival – This is a great cruise for a long weekend, or if you just want to get away for a few days. For only $309 per person you will visit Ensenada, Mexico and enjoy two fun-filled days at sea. 2. 7 Night Mexican Riviera Cruise by Holland America – For about $450 per person you will enjoy one of the best Mexican Riviera cruise deals. You will depart from San Diego and cruise the Bahia Magdalena and spend two days in Puerto Vallarta as well as one day in Cabo San Lucas. 3. 7 Night Mexican Riviera Cruise by Princess Cruises – For only $500 per person, guests will enjoy the ports of Ensenada and Cabo San Lucas where they will stay for 2 days as well as enjoying two exciting days at sea. 4. 7 Night Mexican Riviera Adventure by Disney Cruises – When you leave the port of San Pedro, California you will have two days at sea as well as visiting the ports of Puerto Vallarta and Cabo San Lucas for two days. 5. 11 Night Mexican Riviera from San Diego by Holland America – This is one of the best deals on Mexico cruises from San Diego. For only about $599, you will enjoy 11 nights during which you will visit Puerto Vallarta, Huatulco, Ixtapa, Manzanillo as well as Cabo San Lucas. 6. 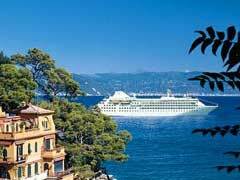 10 Night Mexico Cruise by Princess Cruises – For about $1149 per person, guests will leave from San Francisco before visiting Catalina Island, California and the Mexico ports of Cabo San Lucas, Puerto Vallarta and Mazatlan. 7. 8 Night Mexico Cruise by Carnival – For about $519, guests will enjoy this cruise as it departs from San Diego before visiting the ports of Cabo San Lucas, Puerto Vallarta and Manzanillo. Guests may also be eligible for upgrades and credits. 8. 14-day Panama Cruise from Ft. Lauderdale – This is one of the best cruises to Mexico from Florida. For this two week adventure, guests will pay about $700 and enjoy visiting the ports of Cabo San Lucas, Hualtulco as well as Costa Rica and Panama. 9. 5 Night Baja Cruise by Carnival – This is another example of the wonderful cheap cruises to Mexico. Guests will enjoy two fun filled days in Cabo San Lucas as well as two days at sea for only $329 per person. 10. 7 Night Mexico Cruise by Princess Cruises – Guests will leave from San Pedro (Los Angeles) and enjoy the ports of Cabo San Lucas as well as Ensenada for about $600 making this the best cruise to Mexico from Los Angeles. It’s clear that there are many amazing options when it comes to planning cheap cruises to Mexico. With a little shopping around, there is sure to be a great cruise that will fit just about everyone’s budget.